Two years back at this time when I introduced my son to vegetables, I was indeed fortunate that he took to them easily. Now that he has grown up a little bit and has experienced tastier food in life (read chocolates, chips and cheese), it can sometimes be a challenge to make the vegetables look good. However, he seems to like khichdi and eats it with (usually) no fuss. Is it the ghee, I wonder. No complaints there. 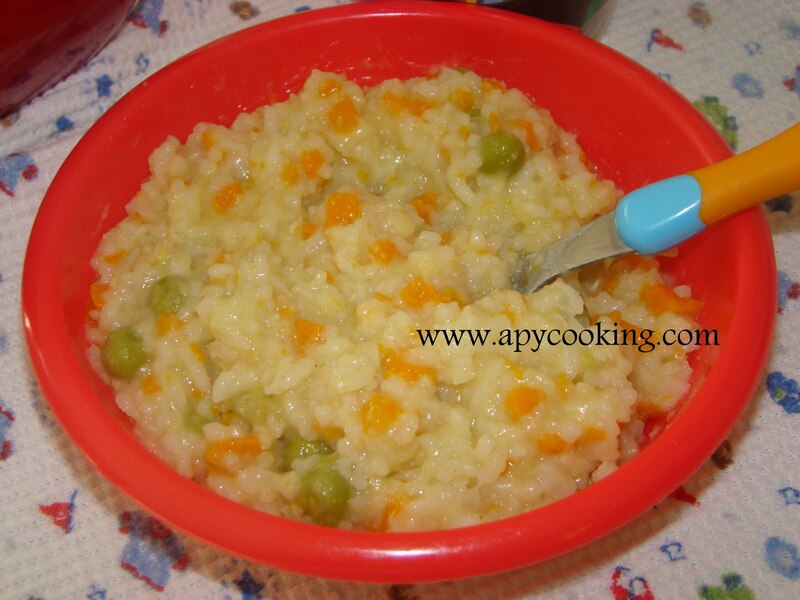 Ghee is good, say the elders and don't hesitate to drizzle a generous amount on baby food. I have to admit ghee adds a great flavour to this dish, which otherwise can be pretty bland with just rice, dal and some veggies thrown in. After my son was comfortable with spices in his food, I started adding some of them. I sometimes add roasted whole jeera, powdered ajwain etc.You may want to avoid the spices if your baby is too small. Also, If your baby is not able to bite properly, mash well before feeding. Combine all the ingredients and add 2 cups water. 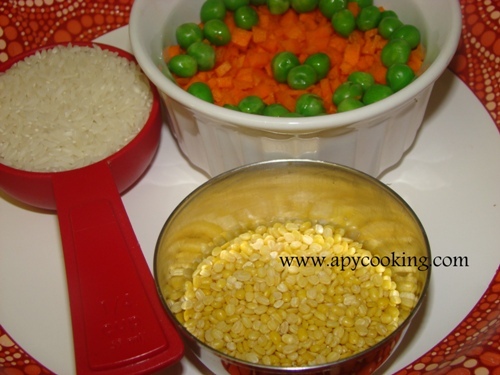 Cook in a pressure cooker for 3 to 4 whistles or until completely cooked. Drizzle some more ghee on top if desired. 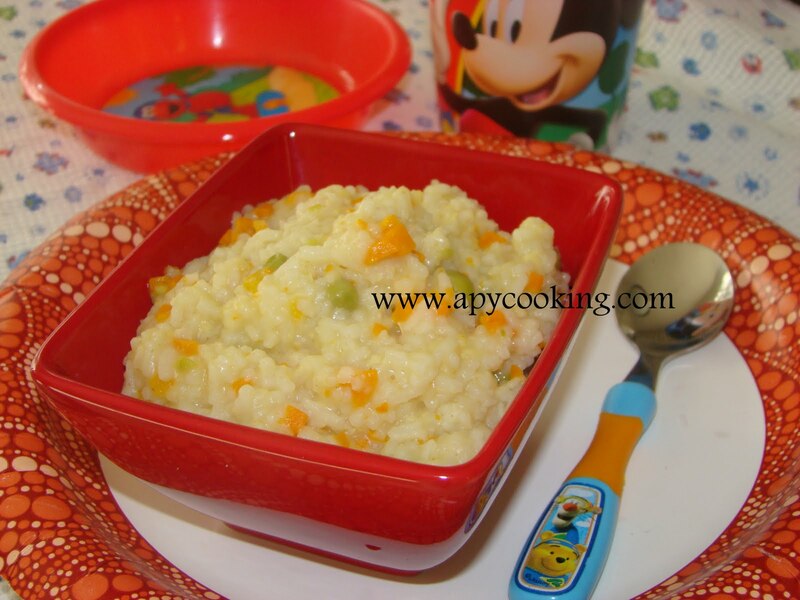 Khichdi is my little ones favourite as well. You have prepared it exactly the way he likes. Wow thats really a healthy n yummy recipe for kids...luks delicious.